Because of the 10 foot tide, we had to bring out boats high enough they wouldn’t get swept away at night. And the sunsets from our island were spectacular. Jeff maneauvering around one of the many large exposed rocks along the coast of Isle au Haut. One of my many attempts to enter the rapid flow at the Blue Hill Falls Bridge. The lobster fisherman are real salt of the Earth folks. Despite always hearing a diesel engine somewhere and the seascape peppered with lobster buoys, they were interesting to watch at their work. I was a little skeptical at first when Dan told me was paddling an Epic on the trip. But it stowed a lot of gear and handled the journey like a champ. Our island was strewn with crab parts. Seagulls will catch crab and then drop them from heights to get them to crack open before feeding on them. Our camp site on the Island of Wheat. Dan getting our camp fire going on the first night. Me working my stern rudder in order to maneuver in the swift current. I went over a number of times. And for my roll…. well, 75% of the time it worked everytime. There is something to be said for practicing your rolls in conditions. Rolling in swift current was significantly harder then on calm seas. Jeff working his swift water skills. Dan and Jeff on the beginning of our circumnavigation of the Isle au Haut. Its Maine. You can’t go there an not get a lobster dinner. Old Quarry would bring them in a cook them on the spot for you. Another beautiful sunset during the trip. My morning view from my tent window. 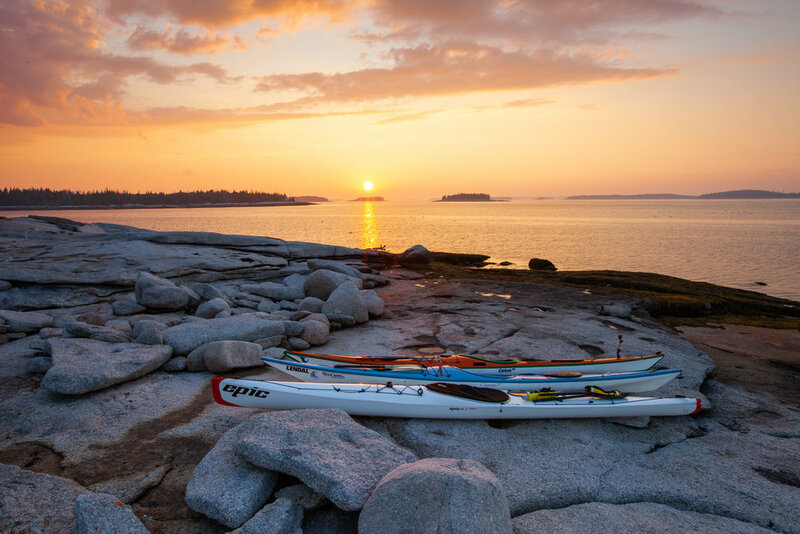 I've long had a desire to do a multi-day kayak expedition trip on a rocky coast of the ocean. 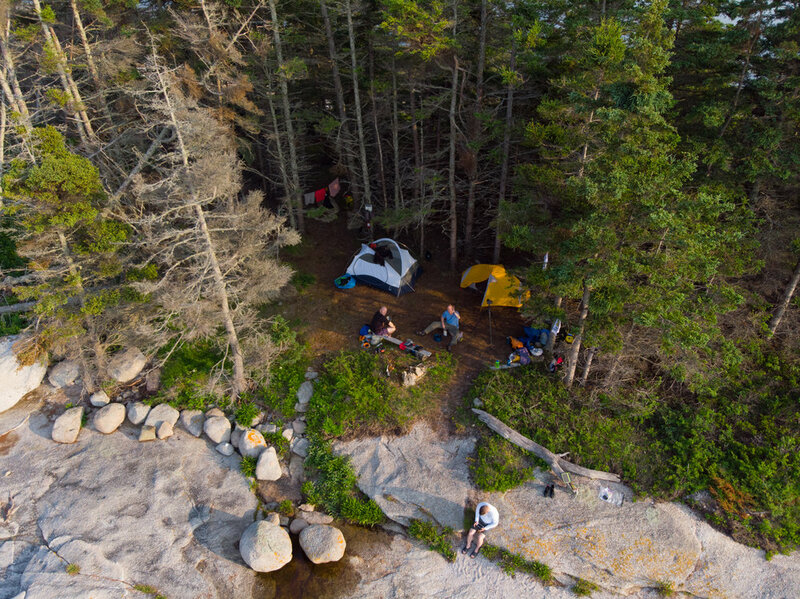 While coastal Maine may not be as austere as Greenland or the southern coast of Chile, nor did we go out for a month long journey, it proved to be the perfect stepping stone for pushing the envelope on future trips. It was like having kayak expedition training wheels on. Even so, I wasn't looking to do this trip solo, so when I put feelers out to see who was interested, I was glad that Jeff Berry (a friend I've done previous kayak camping and back country winter camping trips with) and Dan Ellis (our first trip together but an experienced paddler who I met through kayaking group) committed to go. 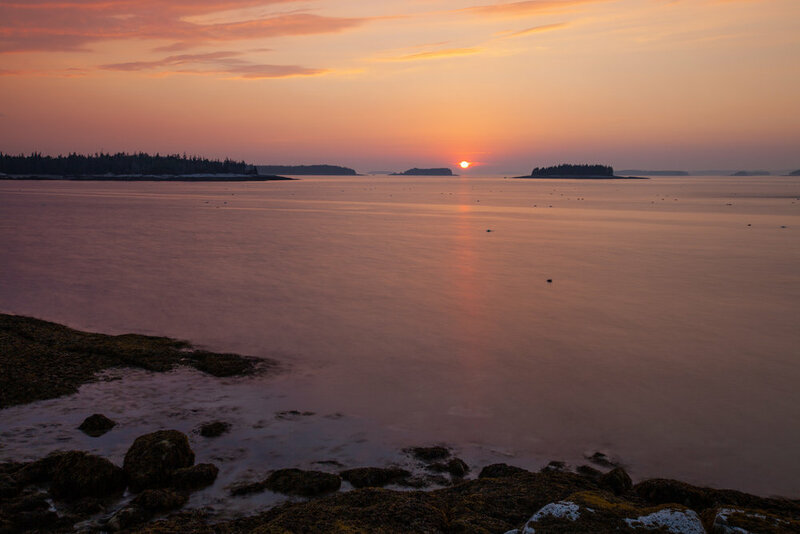 If you have never been to Arcadia National Park or to the surrounding area of coastal Maine, you are truly missing out. 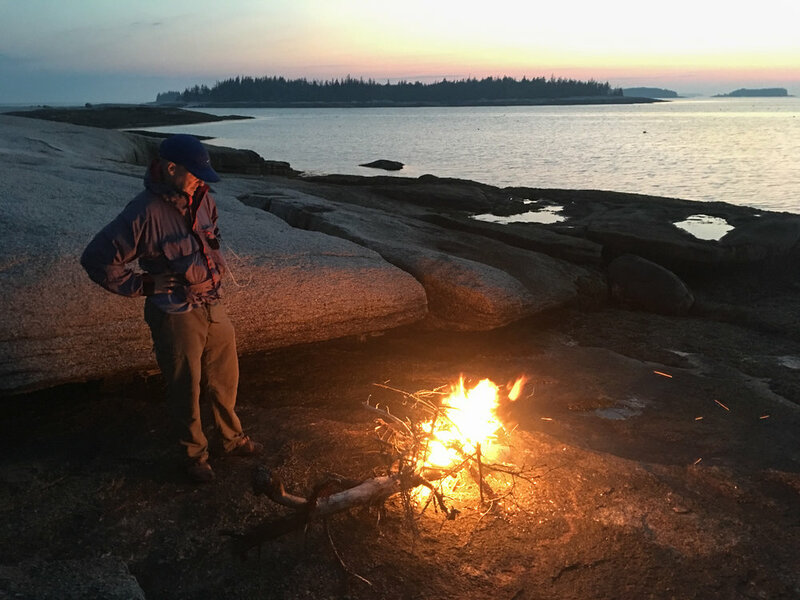 Our trip revolved around a circumnavigation of the Isle au Haut, which resides at the southern tip of an archipelago south of Deer Island in the middle of Maine's Central Coast. This area is peppered with beautiful rocky-shored islands that made for an amazing playground to explore. 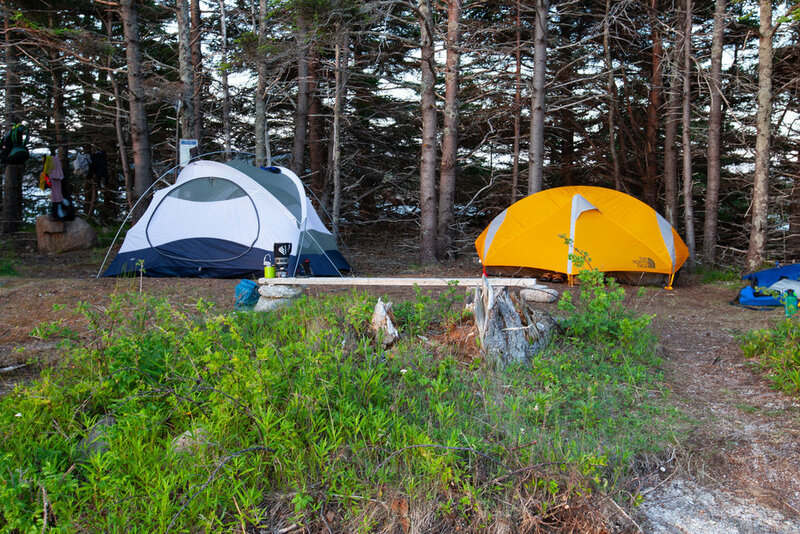 Not considering the 10-hour drive from upstate New York, our kayak journey began at Old Quarry Ocean Adventures - a small camp grounds that catered to paddlers looking to kayak the area. It was one of the few spots we found in the area that would accommodate overnight parking. We also used it as our base the night before and after our trip. The staff there was super friendly and helpful, giving us all sorts of useful info on the area and hazards to avoid. 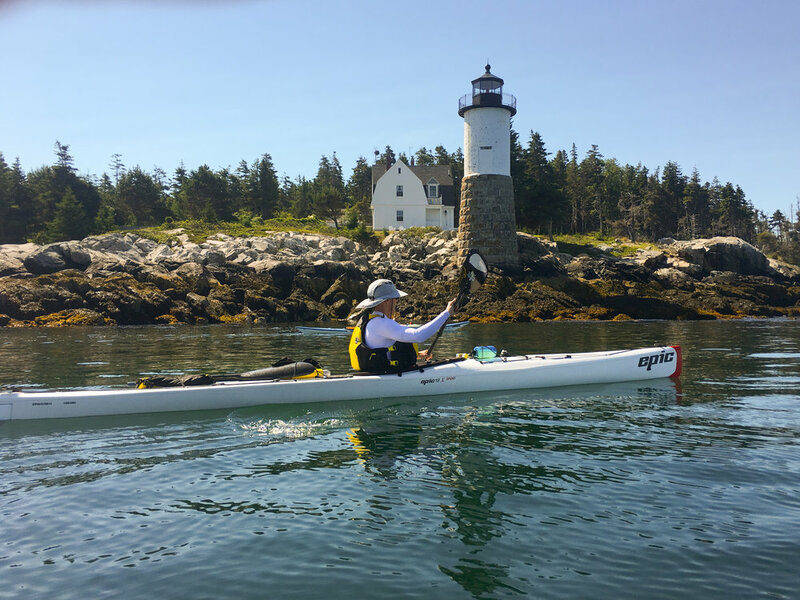 We started from Old Quarry at low tide the morning of Tuesday July 3rd and paddled directly to Wheat Island, a small island just on the north side of Isle au Haut. We were told that this island is a very popular place and wanted to get there quickly in order to stake a claim for our camp. We reached the island in about two hours and were happy to find the it vacant upon arrival. We set up camp, ate lunch, and the pushed back out to the sea to re-explore the route we had just came, taking out time to meander and explore the various inter-coastal islands. Throughout the trip, we couldn't have been luckier with the weather. Coastal Maine can be a volatile place where storms and severe fog can spring up suddenly and without warning. While we did have to contend with patches of fog, it only added to the ambience of the are a and didn't pose any significant danger. While we did cut our trip a day short because of impending storms, which were going to generate heavy rains and 25+ knot winds, we had sunny skies and calm seas while out on the water. 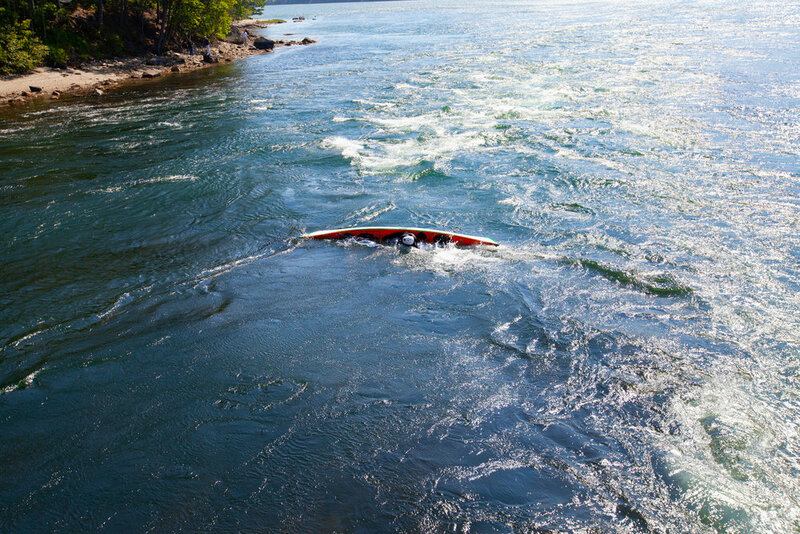 On the second day of paddling, we circumnavigated the Isle au Haut. This large island is part of Arcadia National Park and is home to less than a 100 full time residence. The shore of the island revealed a number of rock formations at low tide that that are unprotected from the ocean swells, making it rock gardening playground. Our journey around the Isle was around 18-miles, which could have been stretched farther if we chose to hug the shore line even tighter in some of the island's bays and coves. We again camped on Wheat Island due to its central proximity to the Isle au Haut and the rest of archipelago. And truth be told, I don't think we could have found a better island to camp on. On our final day, we made an early start and followed the island chain known as Merchant Row back to Old Quarry. We were back by eleven which was perfect for us to hit our next destination, which was a time sensitive affair. Once back on land, we said good bye to Dan and Jeff and I made our way to the Blue Hill Falls Bridge. I had come across this location when searching for potential tide race locations. The Blue Hill Falls Bridge separates the ocean (via Blue Hill Bay) with Salt Pond, a small inland pond. The narrow constriction under the bridge creates a fast moving tidal current that produces some significant standing waves. Despite it being a neap tide which means the flow and waves weren't nearly as big as they could get, it was the perfect introduction to swift water sea kayaking for Jeff and I. The other advantage of the Blue Hills Falls location is the eddy service caused by the opening up of the pond on the opposite side of the bridge. 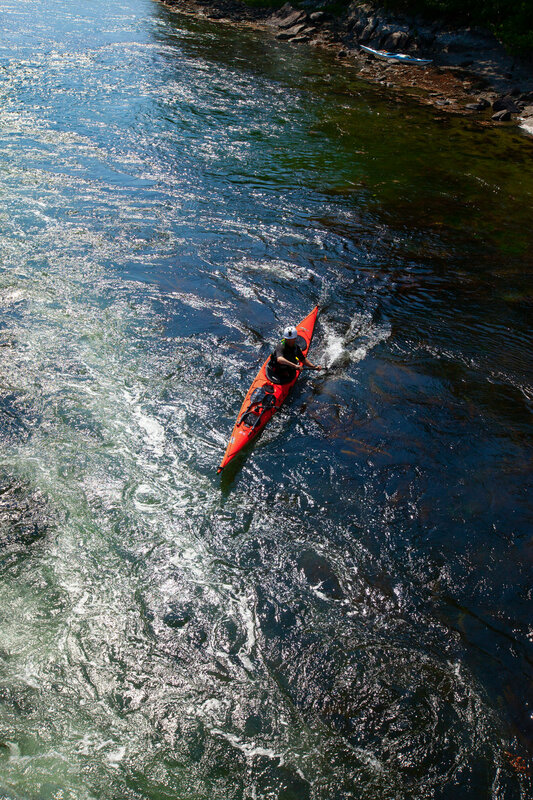 Whenever you would find yourself down stream, you just need to shoot to one side and the eddy current would rocket you up stream. You didn't even have to paddle - it was like having a moving walkway on the sides. Overall, the trip couldn't have been better. We all learned a lot about expedition kayaking in ocean conditions. I walked away with valuable lessons on how to better pack my kayak, planning considerations for tides (especially on launch and landing sites), navigating in fog, and managing other hazards like lobster fisherman.